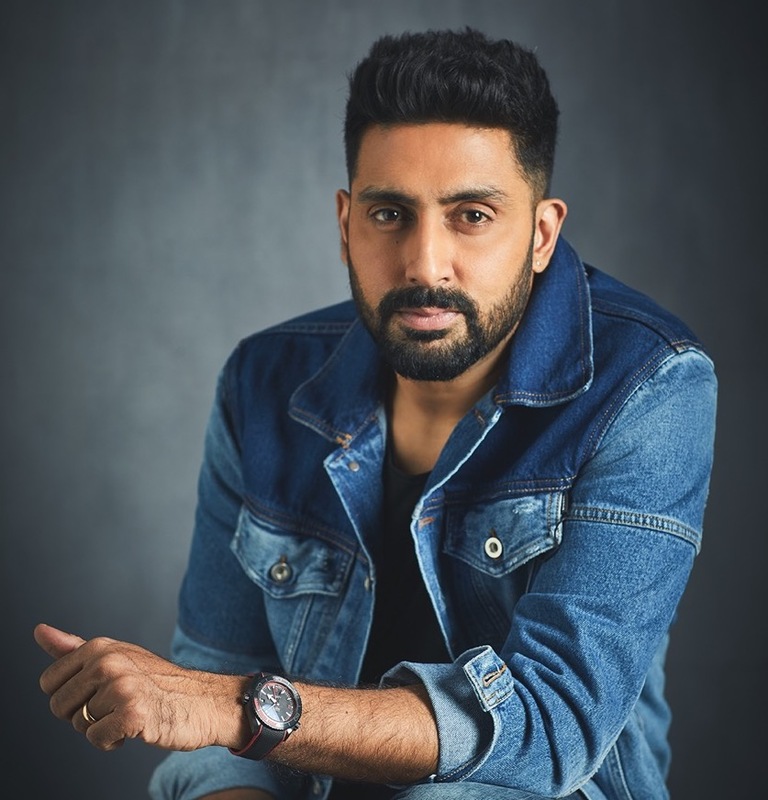 Since he first announced that he would be starring in Manmarziyaan, fans have been eagerly waiting for Abhishek Bachchan’s return to the big screen after a two-year sabbatical, and they could not wait to see what character the actor would bring to life in the Anurag Kashyap directed film. Set in Amritsar, Manmarziyaan explores the colorful beauty and vibrant culture of the Punjab through the tale of an arranged marriage. When Robbie Bhatia (Abhishek Bachchan) comes to his hometown to find a companion, little did he know that he would hopelessly fall in love with his wife, a vivacious Punjabi girl, within a few days? Meanwhile, his wife, Rumi (Tapsee), is struggling to find true meaning of love and learning to adapt to a new life. As her past resurfaces and threatens to disrupt her present, she is forced to wonder what her heart really wants. Also starring Vicky Kaushal, Manmarziyaan is a drama, a love story in two parts, a film full of music and so much more. 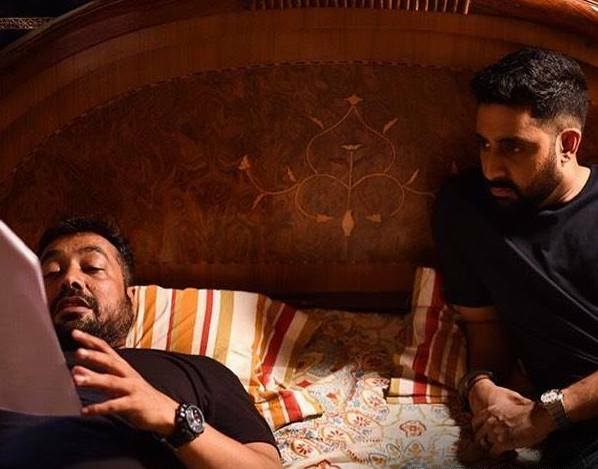 I was very lucky to have a special conversation with Abhishek Bachchan about Manmarziyaan a few weeks ago. In the fabulous chat, he revealed more about his character, how much he loved being a part of this film and how this experience reinvigorated his passion for acting. Check out what he had to say in this exclusive interview! What drew you to Manmarziyaan? It was a mixture of several things actually. Aanand L Rai, the producer of the film approached me and he subsequently introduced me to Kanika Dhillon, the writer, and she narrated the film to me. Everything was going really nicely and I was enjoying the whole process then when they told me Anurag [Kashyap] is going to be directing it – that was kind of the thing that sealed the deal for me – just to know that there was this eclectic bunch of people that were coming together to make this film. I just thought there were great ingredients; I thought it would be very interesting to be a part of a film like this. Obviously the script, the people associated with it, but I think the deciding factor was Anurag Kashyap. And you know what was even more interesting was Anurag Kashyap making a love story! Anurag Kashyap and a love story are actually words you would not use together in a sentence very often. I just felt, how interesting to see how Anurag would tackle a love story – that he would bring his very unique approach and voice to this love story. I just knew it was going to be something very interesting. Though we have a glimpse of who he is in the trailer, how would you describe Robbie? Robbie is actually a banker from London, England. He has his roots and family in Amritsar. He comes down in search of his life partner. Robbie is a person who I think is very reserved. There is a quiet strength about him; there is maturity about him. He is not very expressive. He is somebody who really likes to take stock of a certain situation. But he is very resolute. He is very sure of what he wants and he is very sure about how he wants to go about getting it. These are all characteristics, when all put together, which really excited me because the other two main protagonists in the film, which are Vicky and Rumi, they are both this very passionate, energetic, flamboyant characters and here comes this very subtle, subdued, intense kind of a presence into their lives. Now when you bring something like that in – how do you keep them still engaged, because usually compared to this energy level and flamboyance we tend to judge to more quieter person as boring. But how not to make him boring, how to keep people interested in him and still try and sell him as a character, these are things that really excited me to be playing this part. When we talked last time, you said to me, “The biggest obstacle is making the written word your own and holding it. Only then will you be able to convince the audience that it’s a genuine feeling.” Would you say that still be to true today and how do you do that? Yes! Well, you know, it is a journey of discovery. It is a constant journey of discovery. It is a constant quest to interpret, and to realize and lot of stuff, especially when you are working on the material you are working on. I really feel that every film dictates to the actor the approach. Every film and every story will almost tell you how to approach it. And that is the brilliance of a writer. When Kanika Dhillon, who wrote the film, when she narrated the story to me and I had my discussions with Anurag it was pretty evident the kind of zone you needed to work in. That’s how good the writing was – that’s how strong the writing was. I really believe that every different film has to have a different journey and every different film has to have a different interpretation. What scared you about this character? I think the biggest reservation that I had was what I just discussed with you. 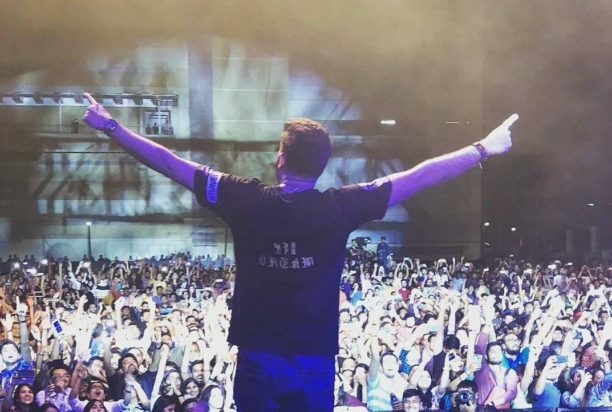 How do you keep the audience engaged and still invested in Robbie? How do you keep them interested? How do you increase his likeability quotient? You know? I think that was a huge challenge for us. I was excited about it because very seldom do we see films in which a character like this, which is quiet, which has a lot of silent strength, there is a certain maturity about them, there is a reservation about them – how to make that character interesting is always a big challenge and that’s something that really interests me. Yes! I think when an actor doesn’t have the usual crutches around them that is going to make your job very difficult. It is a huge challenge, it is difficult but it is something that I look forward to. I think it is very exciting. Tell us about working with Anurag Kashyap. It was just a sheer pleasure. An absolute pleasure. He is such a giving director. He is so generous with everything – with time, with emotion – with everything. I thoroughly enjoyed it. What is harder – to be vulnerable and in love, to play someone funny or playing anger? This is said to be a musical love story, how does that all fit within the film? I wouldn’t say it is a musical in the traditional sense but there is a lot of great music. It is just a wonderful love triangle of sorts. That is more how Anurag wanted to approach the story. It is a wonderful dramatic, love story. Of course Amit Trivedi’s work is incredible, is there a song that just says this is Manmarziyaan? ‘Daryaa’ and ‘Halla’ – these two really epitomize the story for me. You are also involved in the Manmarziyaan Concert tour, tell us about the experience. It is fun, you know. On some level your work has to be fun. I am just enjoying everything about it. This is something that really has not been done before. I love live music. I really enjoy the fact that I get to spend time with these wonderful musicians. When they are rehearsing I just go and sit there and enjoy it. That kind of atmosphere is something that really inspires me. The film is premiering at the prestigious Toronto International Film Festival, how does that feel? What does that mean to you? I am very excited. I have never had a film premiere at the Toronto Film Festival. It is going to be a new experience so I am excited. I am excited to take our cinema to Toronto. I think it will be a lot of fun. It is so wonderful that Indian films are coming to the world, even more so now, what are your thoughts on that? I think has got a lot to do with the Internet and the streaming websites that give us a platform to showcase our films – be it Amazon Prime, be it Netflix or any of these wonderful streaming platforms. I think they allow us to exhibit and showcase our films to an audience that traditionally would not see our films or audiences that are not from the Indian Diaspora. It’s wonderful. I mean even in India if we can consume content like Narcos, which is predominantly in Spanish and still enjoy it, overseas they are enjoying a lot of content that comes out of India – be it in Hindi or one of other regional languages. 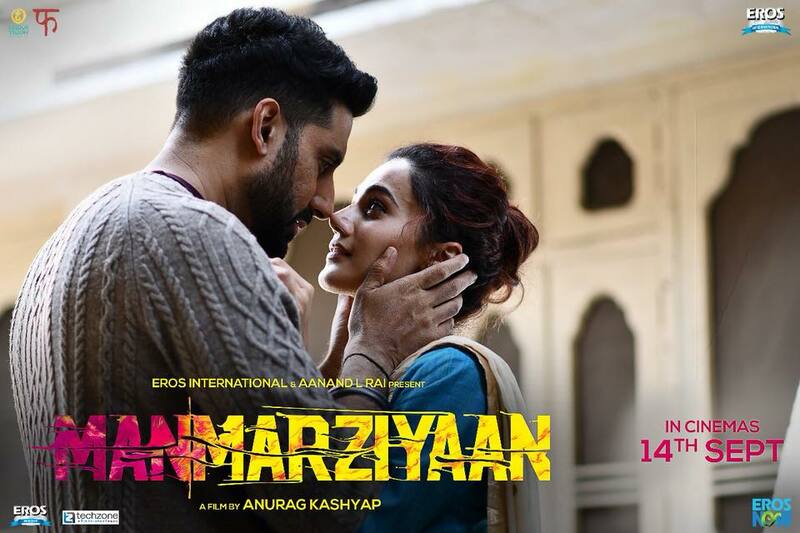 What will you remember most about Manmarziyaan? I think the entire process of being on set and making the film. Every day was just wonderful. It has been one of the happiest experiences of my career. 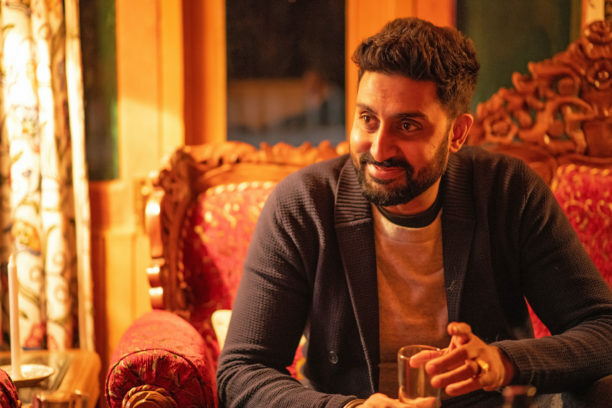 You did take two years away from films as a sabbatical, did this experience and role in Manmarziyaan reinvigorate you as an actor to do more films? Absolutely and it also reaffirmed that those two years were essential. I am very glad I took those to two years. I am glad I took that sabbatical to reevaluate and repackage. This film has just reaffirmed that that decision was the correct decision. You do come, of course, from a film family, but why is acting and being in films what you wanted and want to do? It is very difficult to answer that. It is a wonderful question, but difficult to answer. I think it just has to be an instinct and a feeling from deep within that this is what I need to be doing. It is what makes me happy. I am happiest when I am on a film set. I am happiest when that camera starts rolling. It is that pursuit of happiness I think. Have you seen the final film? What are your thoughts? I have seen the film through its various cuts, the latest being this morning. You know with Anurag, with his films how do you say; his films keep growing and evolving until the last minute. I am very happy with it. Do you like watching yourself on-screen? I think I am overly critical of my work, which is good for another process, but I am not the happiest person when I am watching. I have watched a lot of my work to try and learn and improve, but I am not the happiest person doing it. What do you think of the Hindi films of today? I think we are going through a wonderful phase. It is a very exciting time to be an actor in India where there are various, different avenues and not just film, but there is television, there is the Internet, there is theater. I really feel for an actor it is just a very exciting time to be a part of this creative industry. Can you give us any hint about Gulab Jamun? Gulab Jamun is a very beautiful script that Sarvesh Mewara narrated to Aishwarya and I about two years ago. It is film that we have been developing. I think we are good to go. We both have expressed a desire to work on it. As and when it happens these things still have to fall into place and it all has to be scheduled. It is not something that is starting immediately. But it is something that both of us have consented to be a part of and are really looking forward to making. Yes, as soon as we finish Manmarziyaan release then we go onto the next one, but I don’t like to announce them before the producers so we will have to talk about those later. I would like to thank Mr. Bachchan for the fascinating interview. It was a pleasure to talk with him and I look forward to interviewing him in the future. Manmarziyaan is premiering at the prestigious Toronto International Film Festival this week and will release worldwide on September 14th. We certainly can’t wait to see it on the big screen! 15 queries in 0.815 seconds.